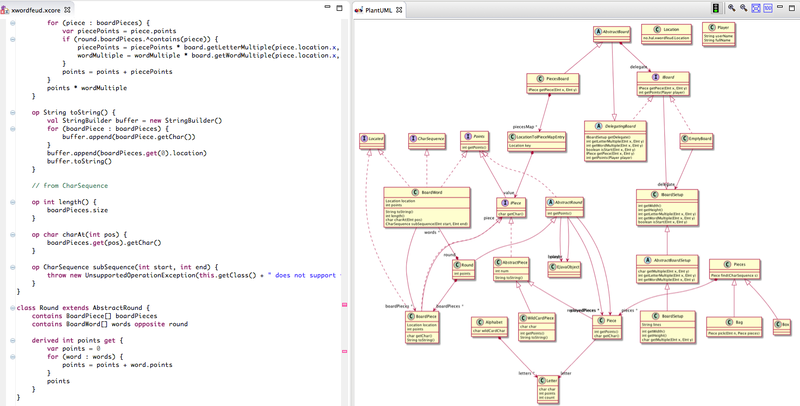 The Eclipse Plugin is developed and maintained by Hallvard Trætteberg (many thanks for his work!). 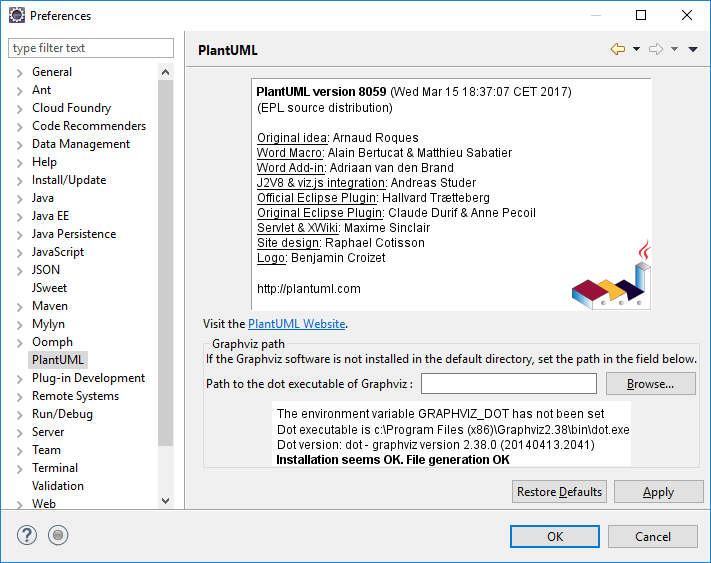 Like the core library PlantUML itself, it is open source and the plugin is distributed under EPL license. 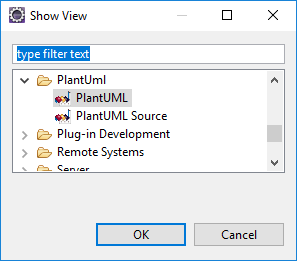 If you write some comment in PlantUML language, the corresponding diagram is automatically displayed. And if you have several comments with diagrams, it selects the one the cursor is in. 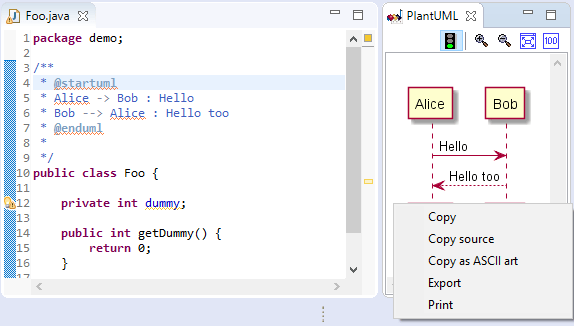 The plugin is not limited to Java source file, it also works with Ecore/Xcore files. If you want to support other file types, you can implement a new extension to do so. You can have a look at the current xcore implementation.